Let’s be specific – Why did Jerome Larkin (and the Illinois Supreme Court) view attorney JoAnne Denison’s call for an Honest investigation of the Mary Sykes case and her exposure of Judicial Corruption to be the functional equivalent of “yelling fire in a crowded theater?” We all know that pursuant to ABA Rule 8.3 and 18 USCA 4 attorneys are required to report felonies by other attorneys (such as Judges) and public servants. Thus, how can the administrator of the Illinois Attorney Disciplinary Commission condone the metaphor? How can the Supreme Court of Illinois not disbar Mr. Larkin and the IARDC staff attorneys promulgating a defense of FRAUD AGAINST THE UNITED STATES OF AMERICA? How can the American Bar Association not be up in arms? You have two guesses and the first 95 do not count! Without immediate enforcement of the RULE OF LAW and the reining in of the fraud in the health care system, there can be no effective health care – plus the fiscal health of America is in serious jeopardy. How does this happen that the ARDC and the Supreme Court of Illinois all insist that black is white and colors are really grey and they get away with it? Judge Connors at page 91 of her deposition admitted that if she acknowledged the Mary Sykes case had no jurisdiction (Mary Sykes 09 P 4585, go ahead and look at up at Sheriff Dart’s Civil Process website), she would just dismiss the case, have it filed again and come to the same conclusion!! Judges cannot do that. They have to make determinations based upon the evidence put in front of them, not on past history of the case. In addition, she implies that she can order a case to be refiled. No judge can do that. Despite this statement, she still sits on the First District Court of Appeals. she makes the right decision to dismiss a defamation suit involving a nasty campaign brochure, but when the defendant asserted a SLAPP claim for attorneys fees, that was denied because “the action did not arise out of a desire to chill public participation in the government process.” WTF? Is she kidding. A campaign brochure and filing a defamation suit against the producer of the brochure is squarely falls under the rights of Citizens to Participate in government without the fear of 1st amendment chilling lawsuits, such as defamation. So what did Connors do? Mark the opinion “Rule 23” thereby prohibiting others from citing it–which is clearly another First Amendment Right being attacked. People should be able to cite whatever case law they want. That’s preposterous. Who is Connors, et al. protecting there? What kind of favors and deals were made to get THAT idiotic decision? The Illinois Citizens Participation Act is one of the most important recent rights granted to Illinois citizens and I guess corrupt judges at the Illinois Court of Appeals have no problems wiping those off the books at will. 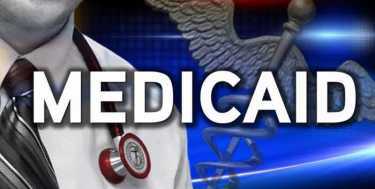 (Kaylee McGhee, Liberty Headlines)Improper payments made by the federal Medicaid program climbed from $29 billion in 2015 to more than $36 billion in 2017, according to the Department of Health and Human Services. The House Oversight and Government Reform Committee held a hearing on April 12thto address the spike, which ended up being a 26 percent increase. Yocom said that due to concerns about inadequate oversight, Medicaid has been on the GAO’s high-risk list since 2003. “It includes any payment to an ineligible recipient, any payment for an ineligible service, any duplicative payment, payment for services not received (except where authorized by law), and any payment that does not account for credit for applicable discounts,” GAO says. During the hearing, Rep. Jamie Raskin, D-Md., said 10.1 percent of payments were improper in the 2017 fiscal year. The HHS annual financial reports confirmed this: There was a $7,581,450,00 increase over two years. In fiscal 2017, HHS reports that there were $36,447,950,000 in overpayments and $283,180,000 in underpayments. But as recently as November 2017, the federal Centers of Medicare and Medicaid Services reported that the rate of improper payments was the lowest it had been since 2013, accounting for less than 10 percent of overall Medicare and Medicaid payments. The CMS estimated that improper payments dropped $4.9 billion from 2016 to 2017, dropping from 11 percent to 9.5 percent in one year. It was the first time since 2013 that the Medicare fee-for-service improper payment rate was below 10 percent, according to the agency. CMS attributed this drop to its increased efforts to crack down on fraudulent payments, saying it had developed a multifaceted strategy, including a targeted claims auditing process that focuses on high-risk providers. But Meadows said during the hearing that improper payments remain a big problem and that the amount of fraudulent payments only continues to grow. Raskin agreed, saying the federal agencies need to work with the states to create an efficient solution. “All 50 states’ Medicaid agencies, along with the federal centers of Medicare and Medicaid services, must work together to lower the rate of improper payments, not only in the interest of preserving our tax dollars, but also because fraud and inefficiency threaten the stability of Medicaid and deprive enrollees of the benefits that they rightfully rely on,” he said. Meadows said improper payments need to be tackled because the problem directly effects the taxpayers. e of improper payments, not only in the interest of preserving our tax dollars, but also because fraud and inefficiency threaten the stability of Medicaid and deprive enrollees of the benefits that they rightfully rely on,” he said.